Have you ever wanted to make ornaments with your boys only to find that most of the tutorials are kind of girly or “not cool, Mom”? 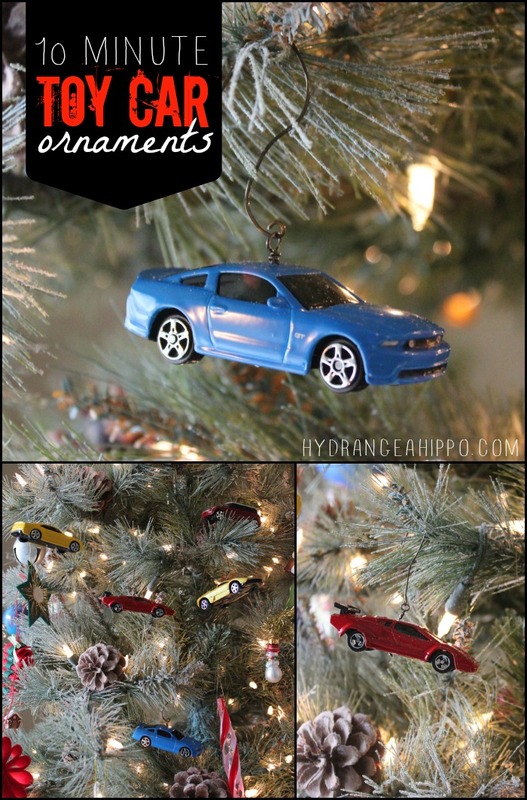 Well, guys or boys or dudes or Dad will all love this easy ornament tutorial on how to turn toy cars into Christmas ornaments in under 10 minutes. 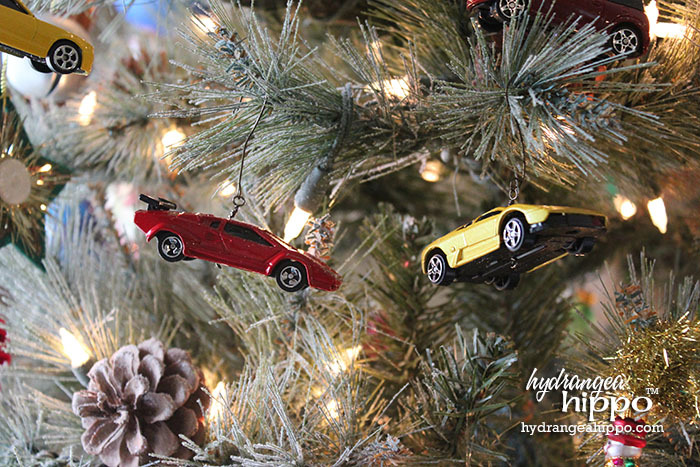 These ornaments involve power tools (let out your best Tim Allen grunt, boys!) and a bit of metalsmithing. Yes, yes, so freaking awesome, right?! If you have to do an ornament exchange at work, make these and wow the men in the group! I like to joke that I'll get the boys the Mustang they've always wanted or sure, for Christmas they can have that Lamborghini or Ferrari. They might be disappointed but hey, we'll all have a good laugh, right? 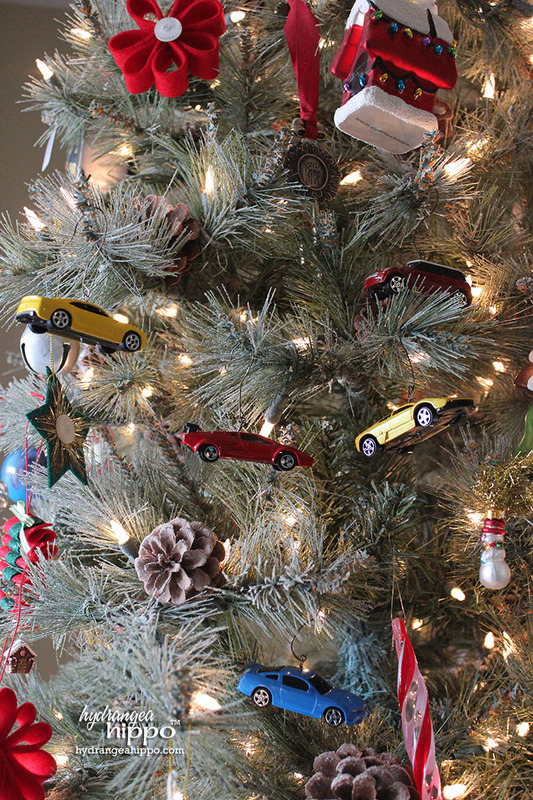 Xaver made this handy dandy video of how to make the toy car ornaments. Once he made one, he was on a roll so I figured I'd just let him make them all on his own. It's actually pretty addicting. I tried to help at one point, as you'll see in the video. I think they'd look cute with beads and bows on them but he wasn't having it. After you make these and hang them on the tree, make more ornaments out of manly things like mini tools, army knives, nuts and bolts, and chest hair. Well, maybe not chest hair. 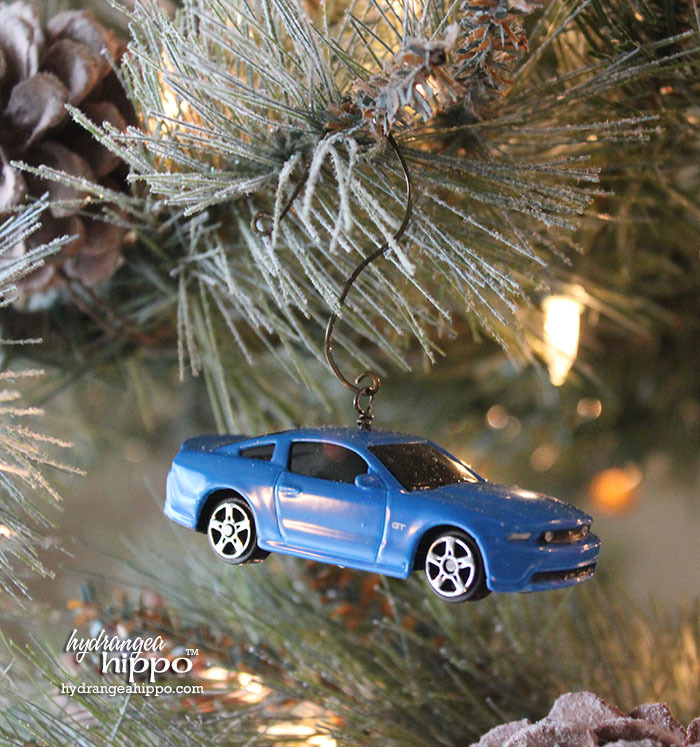 I think I am going to give the nephews the option to make these this weekend at our ornament making get-together. I'm sure they'll be into it!